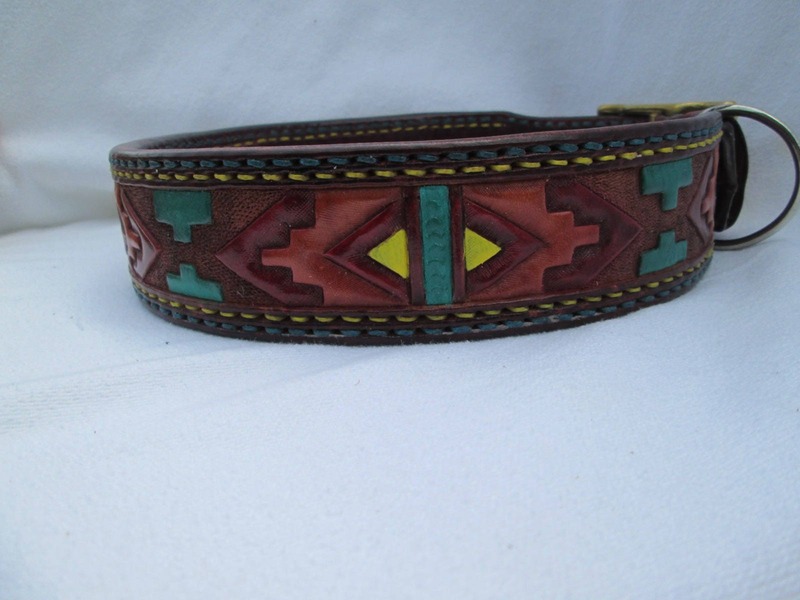 Large handmade leather Dog Collar with custom American tribal design tooling. 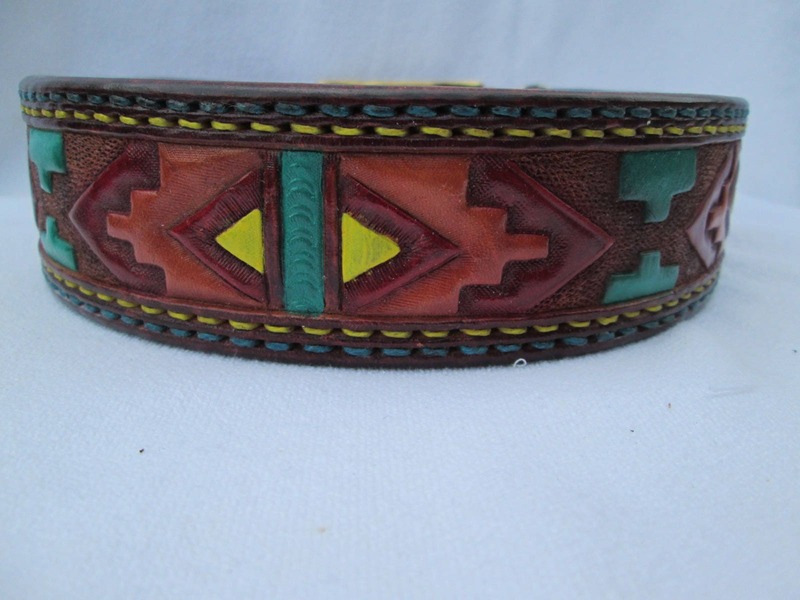 This leather collar is hand painted and hand stitched in a variety of traditionally used American tribal colors. 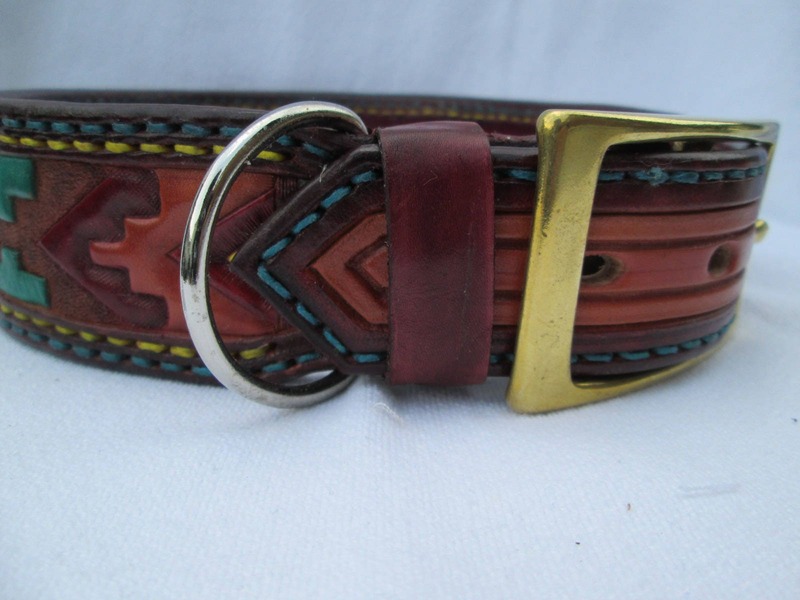 This collar is 2″ or 5.08 cm wide with stylish 1.5″ or 3.81 cm tapered ends and will accommodate neck sizes 23 – 27″ (58.4 -68.6 cm) with holes on 1″ centers, the best fit being 25″ or 63.5 cm. The collars comprised of 1 strap of 13 oz. saddle skirting leather and a vegetable tanned leather liner. which is glued, then tooled , oiled, beveled, airbrushed with spirit dyes and painted. Two hand stitched row in 40mm polyester R.V. resistant wound cord, the first row (outside) stitched in turquoise and a second row done in yellow as an embellishment. Then, edges burnished with beeswax after border was spirit dyed in Feibings mahogany. After all acrylic and spirit dyes are in place it’s entirely top finished with a poly coat to guarantee years and service. 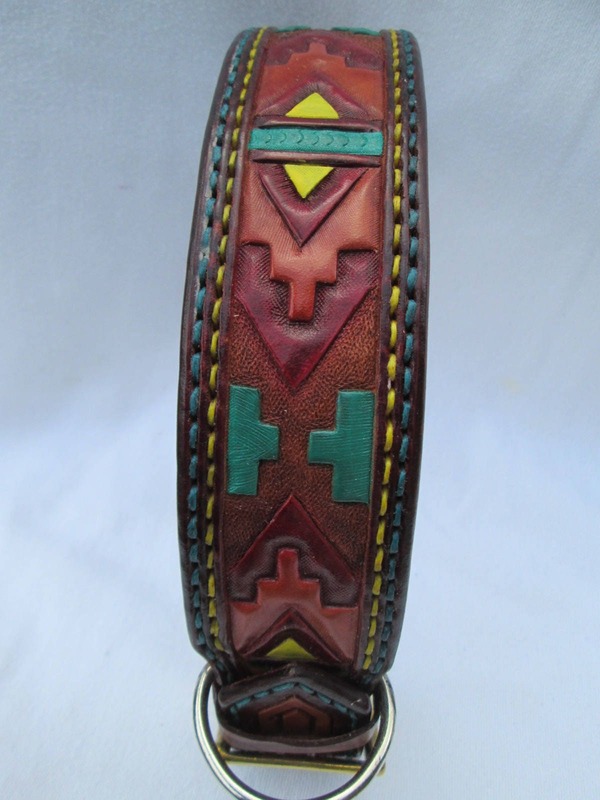 The buckle is solid brass, welded d ring and a matching leather keeper. 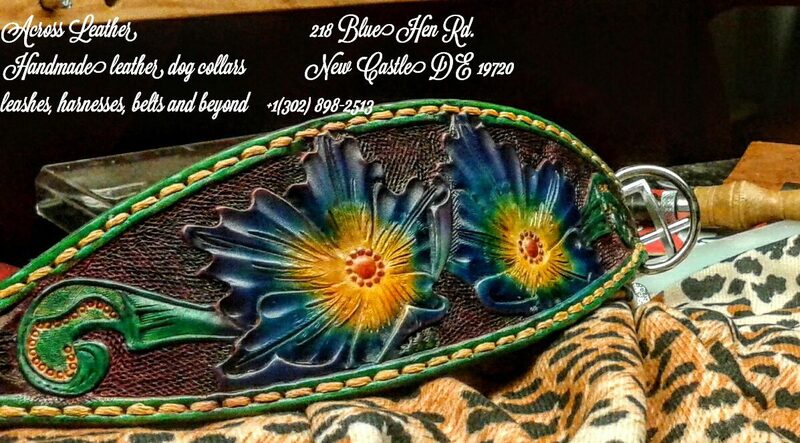 This collar would go great with most Mastiffs, Great Danes, Rottweilers and more.